Dr Brian Corcoran is a Lecturer in the School of Mechanical and Manufacturing Engineering at Dublin City University. 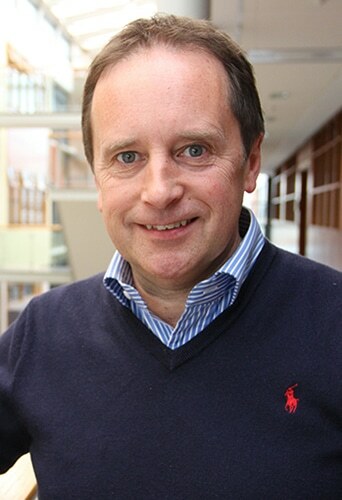 A graduate of Bolton Street, College of Technology and of Dublin City University, he is a Chartered Engineer and was a warded his Ph.D. in 2003. He is the Associate Dean of Education in the Faculty of Engineering and Computing. Brian currently lectures on Thermo-Fluids, Sustainable Water Systems and Pneumatics at DCU. Brian’s research interests include Sustainable Water Systems, Sustainable Energy Systems, High Purity Water Systems, Wireless Environmental Sensors and Lab-on-a-Chip projects. He has collaborative links both nationally and internationally and an excellent research track record. He has industrial experience of the design, installation, commissioning and validation of high purity water systems for Pharmaceutical and Semi-Conductor industries.